Do You Have A Concrete Slabs Project We Can Help With? Concrete Slabs are a basic structural part of residential and commercial buildings. Horizontally-positioned slabs of steel reinforced concrete, generally between 4 and 20 inches in thickness, are most frequently used to build flooring and ceilings. Thinner Concrete Slabs are often used in exterior paving for applications like sidewalks or patios. 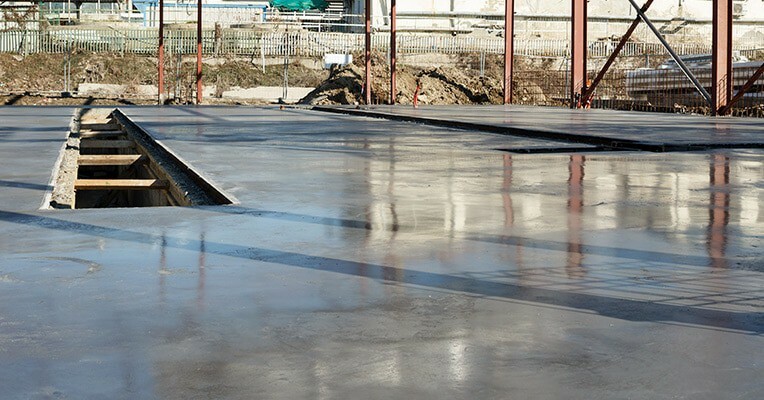 Since they have such a wide variety of purposes and supportive requirements, Concrete Slabs involve a number of construction variables that must be evaluated before placement of the materials starts. To be sure the procedure is done accurately, our teams plan every slab pour thoroughly. Pouring Concrete Slabs typically begins with preparation of the sub base to ensure that it’s clear and compact enough to maintain the weight of the concrete when it’s poured. The forms – usually made from wood – are set next, which hold and give shape to the concrete. The next step is to pour the Slabs into the form. After that, the finishing procedure for smoothing or texturing the concrete is performed. Lastly, it’s time to let the concrete cure until it’s ready for everyday use! Coronet Construction is with our customers each step of the process to be sure that every one of the Slabs we pour and cure stays free of complications. Our trained crews know how to install sturdy, long lasting concrete that’s resistant against cracks and soil settlement. We create Concrete slabs that do their job for many years to come! Give us call today and get started with a FREE estimate at 630-835-0700. Coronet Construction, with offices in Addison, is an established Chicagoland construction with more than 20 years of experience in the industry. Our employees always arrive at a job site with all the equipment we’ll need to guarantee the project is completed properly and to the customer’s satisfaction.